In 2009, Cineuropa launched the present scriptwriting training course online. This course, which can be taken at an affordable price, is aimed at scriptwriter, author, writer or producer, anyone interested in this particular writing style, really…The course is made up of eight lessons, each accompanied by an exercise, which will be read and corrected by a scriptwriter. Since its inception, the course has had growing success, encouraging us to continue to offer all those who are passionate about writing an cinema this easy, but nevertheless educational access to the intricacies of scriptwriting, all the while respecting your budget and availability, wherever you may live. We can safely say that over the course of the past few years those who have enrolled in our course have been progressed significantly between the first and last exercise. We have just updated the various lessons and exercises according to the experience and feedback we have gained from our students over the past seven years. At the end of the course, besides having enjoyed the 14 weeks, you will be familiar with the technical aspects of scriptwriting and possess the basic notions of the theory of screenwriting. And most of all, you will be able to write your own movie, at your talent and passion’s level. The first lesson is free and does not lock you into a subscription. Download Lesson n. 1 here. Read it, evaluate it, do the exercise requested by the lesson, send it to blanca-escoda@hotmail.com. Together with the exercise, ask the teacher all your questions concerning the contents of the lesson and the course. In a few days you will receive a corrected exercise and the answers to all your questions, thus verifying with your own eyes how useful and fun these lessons are. After this, you can decide whether to enroll or not. To continue the course, you have to send an email to bernard@cineuropa.org declaring your intention to continue the eight-lesson course and make a bank transfer payment. This way, you will be added to the first course on the calendar, during which, over the next 14 weeks, you’ll receive the other 7 lessons (one every two weeks). At the end of each lesson, you will be invited to do your homework which you will email back to your teacher. Within 7 days, your teacher will correct your homework and send it back to you. The 14 weeks offer an optimum amount of time to study the lessons and do your homework and meanwhile, in case of doubts, ask for explanations. The lessons (that will be sent in PDF format) are easily read and apt even for those with little leisure time. At the same time, however, they look at the diverse aspects of screenwriting in a complete and exhaustive way. Actually, the theoretical know-how you will possess at the end of the course is superior to any average course and includes a great numbers of interesting issues, sometimes illuminating, that aren’t generally taught at traditional courses. The main reason to enrol to the course is because these lessons represent an efficient synthesis between autodidactic studies and traditional courses. 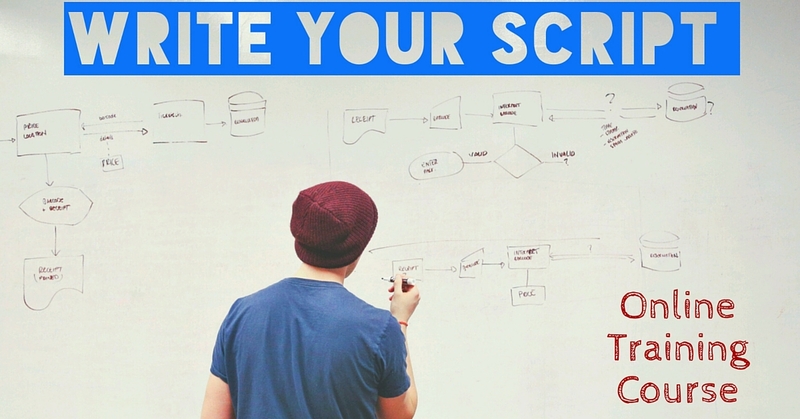 The best way to learn how to write a script is to have your work read and to receive feedback. The lessons, which will be sent to you, are documents that you will be able to refer back even years after you have finished the course. Cineuropa offers you a very flexible schedule for the course, complementing current lifestyles. the course forces you to a commitment: initially only two-three pages of homework to become familiar with the subject. You will be given guidelines at the beginning of the course, then gradually you will write a short film, the subject of which you are able to choose yourself. the course can be followed directly from home (or from your office). You will therefore be able to read the lessons at your leisure time and communicate privately with your teacher at any moment. This way, you never risk losing a lesson! this online course is not an automatic distributor. When you do your exercises, you won’t have to correct them yourself, nor jot down a cross or two on some answer and have the test thrown into Hal 9000. If you have doubts, you don’t have to find the answer in some “faq” page. Somebody here reads what you write. What’s the purpose of the first act of your script? What’s the “subtext” of a dialogue? How can the parentheticals be used at their best? This is the type of questions that every screenwriter should know how to answer and finally this course dedicates the right space to them. But obviously let’s not forget the fundamentals… Syd Field’s paradigm, enriched with other methods, which have recently come to light, the function of the scenes, the role of the subplot. From the idea all the way to Hollywood standards for bounding a script! Not without giving a good look at the format – a fixed idea of any aspiring screenwriter! Following are the eight lessons in detail. Notice that the list contains only the “main” subjects of the lesson. Each lesson is actually made up of many more details and issues concerning screenwriting, and the main feature of this course is the many small and extemporary paragraphs dedicated to unusual ideas, practical suggestions, alternative paths. The first 5 exercises concern the writing of six mini-screenplays (3-5 pages each), starting from a pre-fixed theme. Each exercise is conceived to emphasize a particular aspect of film writing and finalized to verify the correct application of the basic notions of the subject. Exercises 6-7-8 are connected in order to set up the writing of a short film script. Before enrolling you are advised to complete the first exercise in order to evaluate your own scriptwriting skills with your teacher. The first lesson can be downloaded free this site at any time. The other seven lessons will be sent via email every 14 days upon enrolment. Between one lesson and another, there are two weeks of time during which you can read the lesson and send your exercise, receiving an answer within a maximum of seven days, if you follow the delivery schedule. The second lesson will be sent following confirmation of your subscription. Following this, a lesson will be sent to you every second Friday from our teaching service. The final deadline to send in your exercises is 14 days after having received the eight and last lesson (there will however be a tolerance time can be established between you and your teacher). See F.A.Q. at end of page for details. Blanca Escoda Agustí studied Media at University of Westminster in the UK. After attending a few script development courses at the Script Factory with Lucy Scher she started working as an intern script reader for production companies in the UK and the USA. She was asked to give her opinion on genre for the book Stand-Out Shorts (Russel Evans, Focal Press, 2010), published in the USA and in the UK. She has attended several seminars, among them the acclaimed "Story" by Robert Mckee and she is a regular at the London Screenwriting Festival in order to keep up-to-date with the industry standards and needs. Blanca has her own script consultancy since 2011 in which she reads and edits scripts for freelance writers and production companies mostly across Spain, the UK and Latin America. Does the course request a previous preparation? No kind of previous preparation is necessary to enrol to the course. Moreover, no further lessons will be necessary to write a screenplay after the course. What software is necessary? Acrobat reader that can be downloaded here for free. You can also use Word. Final Draft and Celt.x are also accepted. What’s the average time of reply to our questions? You will always receive an answer within 7 days, often even in 3-5 days. If for exceptional reasons our teachers will not be able to answer within the 7 days, you will be advised of the delay by email and receive an answer as soon as possible. Is it obligatory to end an exercise before receiving the following lesson? It would be best to keep up to the rhythm of the lessons, for example ending exercise n. 3 during the two weeks that separate you between the Lesson 3 and 4. Naturally, if over that period, the student hasn’t completed his exercise, he can make up during the following weeks. The main issue is to finish all exercises within the end of the course (precisely, 14 days after the last lesson was sent). In case the student hasn’t ended his exercises within the 14 weeks of the course, there will however be a two-week tolerance after the official ending of the course (precisely, 14 days after the last lesson was sent). Over that period, however, the 7-day answer rule will not be respected, so the teachers’ answers could request up to 15 days. Are the courses for all ages? Yes. What type of help should I expect from the teacher of the course? An informal service, competent, passionate. You can be sure to have available and kind teachers who offer simple answers yet thoroughly exhaustive. Exhaustive corrections and answers in a short time, and not poems! What happens to the exercises I send the teacher? They’re eliminated after being read and naturally nobody, except for the teacher, can read such material. If from an email exchange with a student, a major technical issue arises that can be of interest for the other students, these issues will be faced in collective emails without nominating the student’s exercise, except if previously authorized by the student himself. Privacy and copyright rights of all subscribers are always highly protected. Does the course take place entirely via email? Yes. Does the course release a certificate or a diploma? Yes but it’s simply a souvenir of the lessons. Don’t enrol for this reason. The reason for following this course is to explain how to write scripts. “The different lessons and resulting exchanges enabled me to develop a rather more subtle approach to screenwriting. They also enabled me to understand more clearly what kind of style I want to develop”. Audrey Lemoine, author and songwriter, France. “The important follow-up provided by the tutor when correcting exercises, his advice, professionalism and extensive experience make this lesson a lesson in excellence. A big thank-you”. Tom Beha, novelist, UK. "I enjoyed this work, it was a real pleasure. I never felt judged, but supported and encouraged. The teaching goes well beyond screenwriting". Daniel Demierre, film director, Switzerland. "I really enjoyed these four months of work; I think this is a top-quality course!". Shelly Berkaj, producer, Israel. "The course is well-structured and very reasonably-priced. All the staff are very responsive and punctual. Well done!". Gustavo Zayas, screenwriter, Spain. "I am working at Adele's corrections of my 1st exercise and I am glad that she was very precise about all my mistakes". Julia Melnitskaya, producer, St. Petersburg. "It’s a superb course, I congratulate them. I’m learning with Marta, slowly but surely". Juan Ruiz, screenwriter, Mexico. "I think the course is very educational and well thought-out". Rodrigo Carrizo Couto, journalist at "El País". "The lessons were easy to follow and drew on some excellent sources, so I was confident I was receiving good instruction. The exercises were challenging and fun to complete. I wish there was a follow-up course!" Theo, Czech Republic. "Thank you very much, your comments were very helpful. All I need to do now is to start working on it. I am currently working on several projects adaptations and original works.Thanks again for your advice". Marc Lenglet, scriptwriter, France.